1. Heat five tablespoons of the olive oil in a large frying pan. 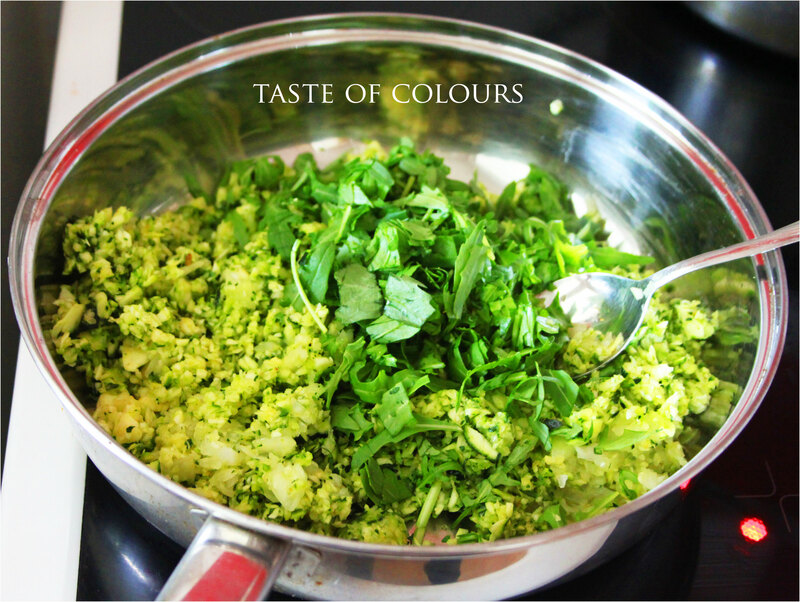 Add the courgette, onion, chilli and rocket and fry until softened. 2. Season with salt and pepper and allow to cool. 3. In a large bowl mix the mascarpone with the courgette mixture. Mix in 50g of the Parmesan cheese. Season with salt and freshly ground pepper. 5. Fill the cannelloni pasta with the mixture. 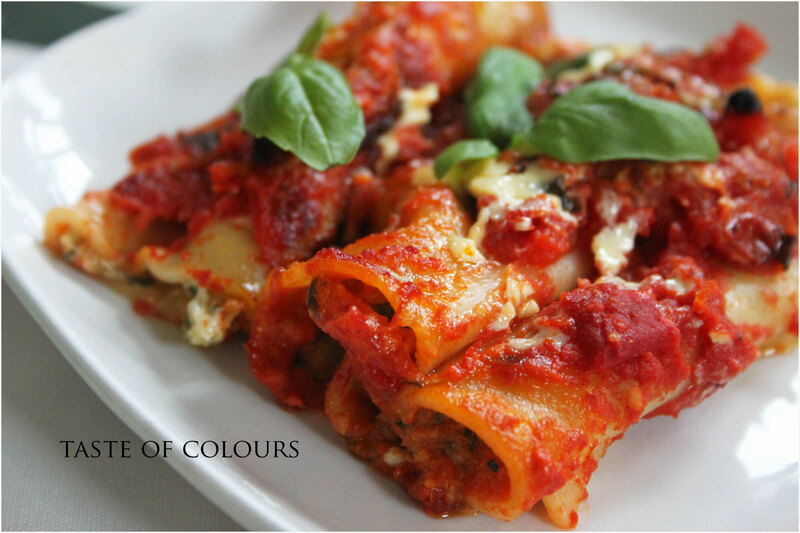 6.In a greased baking dish place the cannelloni in a single layer. 7. Spoon the chopped tomatoes on top and tip in the double cream. 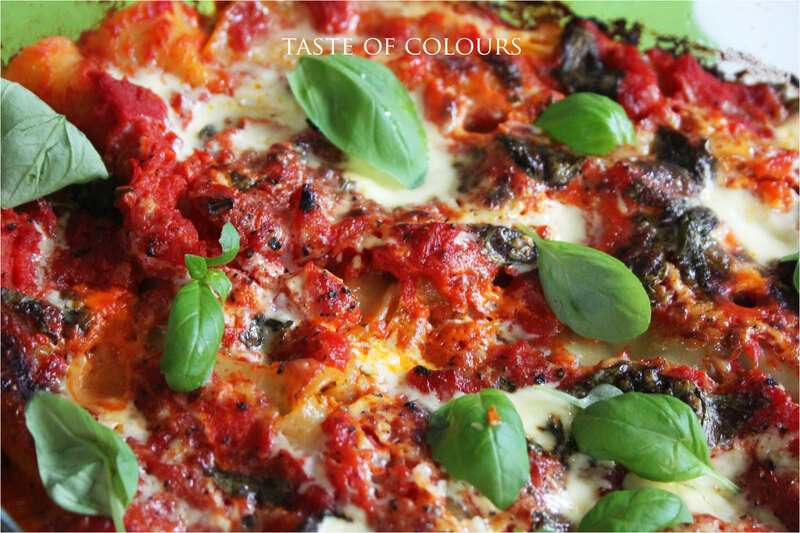 Drizzle with remaining olive oil, season well and scatter roughly torn basil leaves on top. 9. Sprinkle the remaining Parmesan cheese on top and bake for a further 25-30 minutes. Serve immediately. Ohh I love the idea of rocket and mascarpone, that peppery and sweetness together would be great! Thanks for the idea! 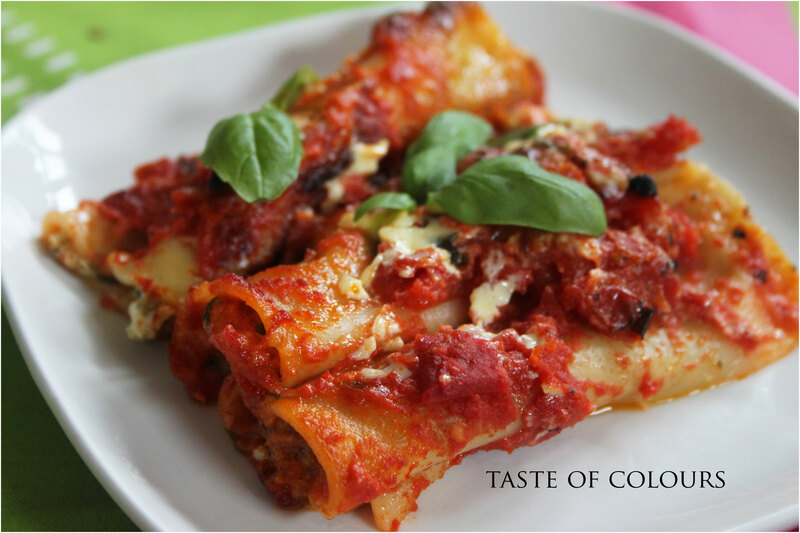 I love cannelloni and your recipe is so very tempting. Mouth watering…. I’m certain this tastes as amazing as it looks!